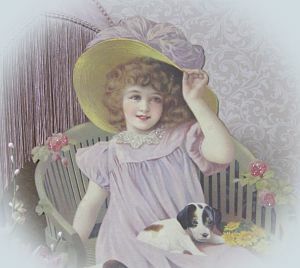 Little girl wearing a large hat with lavender bow and lavender dress with white lace collar and bottom trim. All with hand applied glitz. 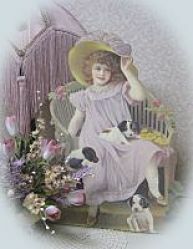 She is seated on a pale green victorian chair and surrounded with her puppies. 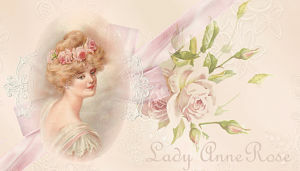 Can be used on floor, table, mantle or shelf and when combined with other items becomes the center of attention.